Createspace Independent Publishing Platform, 9781523803811, 292pp. 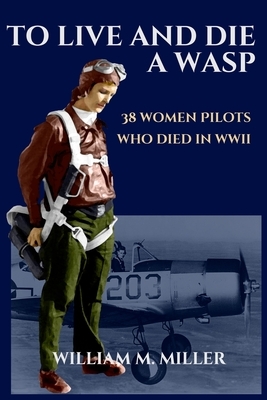 There have been many books about the Women Airforce Service Pilots of WWII (WASP); however, hardly any about the 38 women who lost their lives while flying for the Army Air Corps. This book tells their story. When the war began, the men called these women "girls." They didn't believe this grand experiment could ever work-that the women of America-sisters and wives-could fly Army airplanes all over the country. Yet, these women were patriots and all they asked was a chance to do something that would help win the war. Of the 1,074 who flew as a WASP, 38 young women never came back-never had a future, and never heard their country say, "Thank you." Here, we remember them.